Recently reduced listing price makes this an opportunity. Home has a rare direct access subterranean 6 car plus golf cart garage, perfect for the car enthusiast or collector. 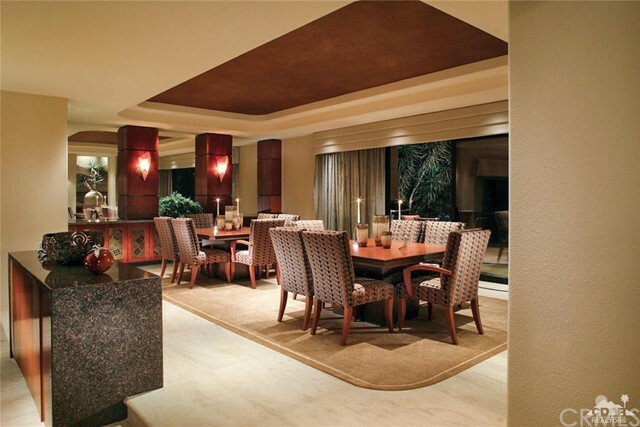 Upon entering the glass doors you experience all that desert living has to offer. 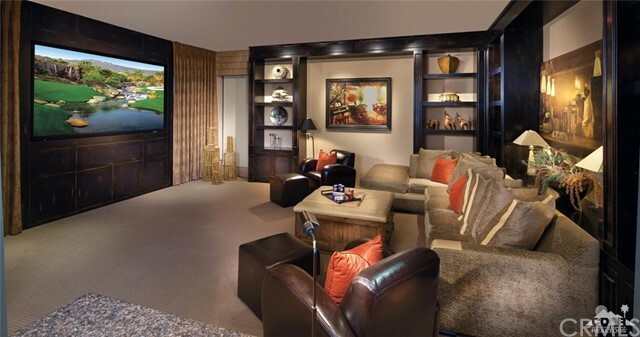 An open floor plan allows generous space for entertaining or more intimate area for daily enjoyment. 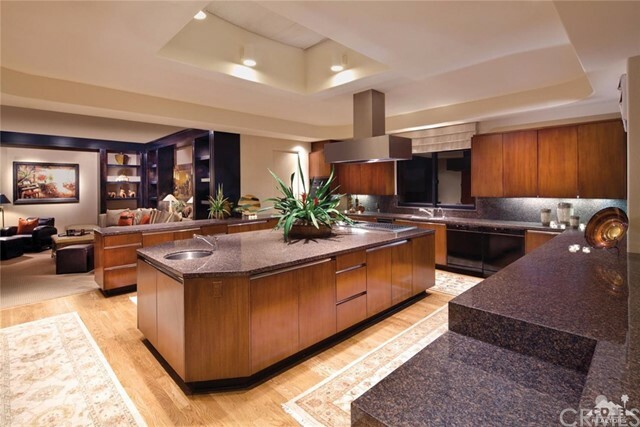 An expansive gourmet kitchen which is adjacent an open to a casually elegant dining area. The theater/family room which offers big screen projector and surround sound is perfect for screening of your favorite movies. Bright, spacious master retreat with sitting area, fireplace overlooks the pool, spa, golf course. Two large guest suites offers a perfect place to enjoy guests. An office with built-ins is conveniently located off the master. Views of the mountains, 18th hole, city views are enjoyed from the outdoor patios, infinity-edge pool, spa. Outdoor living area with television and firepit. Culdesac location, close to clubhouse. I would like more information regarding the property at 160 Chalaka Place, Palm Desert CA 92260 - (MLS #2346770). Listing #217029932DA By Jacquie Burns, CalBRE#01185587, Bighorn Properties, Inc.